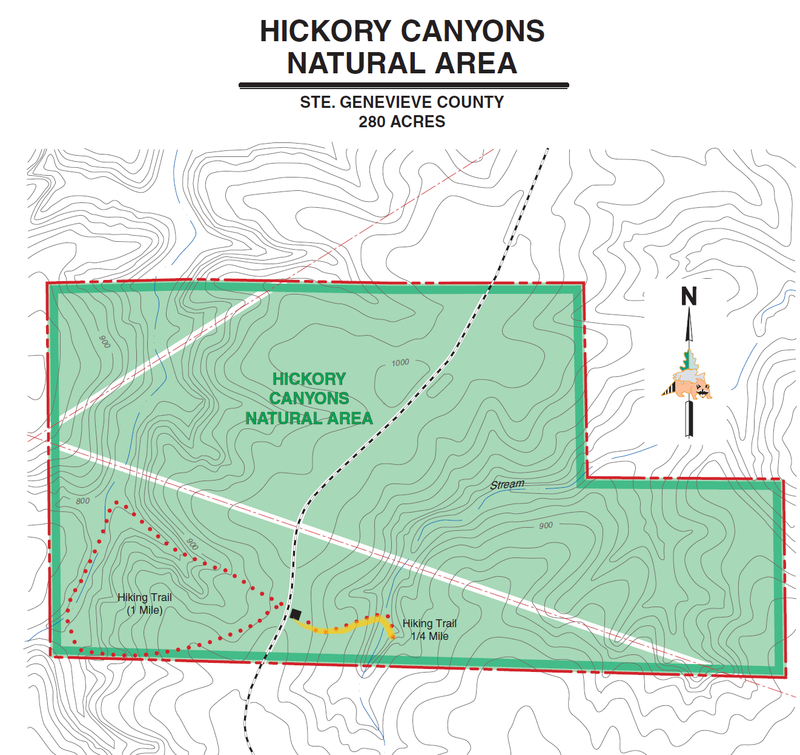 Hickory Canyon is an hour and a half away from St. Louis which when combined with the trail at Pickle Creek, can be a perfect day of hiking. The Natural Area has two hiking trails, but my focus today was to see the waterfall. I had previously been to this waterfall during the summer months and since it is a seasonal waterfall, it was dry. My goal was to see this waterfall running and since we had been getting quite a bit of rainfall, it seemed like the perfect opportunity. The hike is short, but packed full of beauty. The trail is an easy hike with a bit of elevation change. Sandstone bluffs rise above you while walking along the trail to the box canyon. A small creek flows below the trail. At the end of the .25 mile trail is the seasonal waterfall. Since I hiked this trail on a rainy day in January, I had the place to myself. It was so peaceful to sit at the base of the falls and just listen to nature. I hopped the creek to check out the other side of the box canyon and get a different vantage point of the falls. Across the road from the parking lot is a 1 mile trail. I hiked this trail during the summer. Be sure to check my post out HERE! For more information, check out the Missouri Department of Conservation’s website and the trail map. Happy hiking from me and El! Neat waterfall! The signposts look so new!! Cool waterfall! But why a sad puppy? !